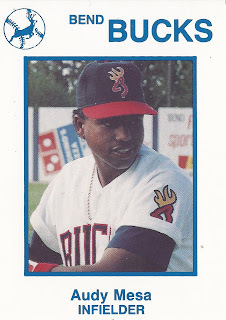 Audy Mesa experienced a spectrum of emotions in his short-season Bend Bucks season opener in 1990, unfortunately the end emotion was a low one, according to The Bend Bulletin. Mesa's day included an early botched double play, then a two-run shot - Bend's first runs of the year - and then a couple late miscues helped decide the game, The Bulletin wrote. "There was some miscommunication, but that's to be expected this early," Bend manager Mike Bubalo told The Bulletin of the initial broken double play. "Those things will come. Those kids have the tools." 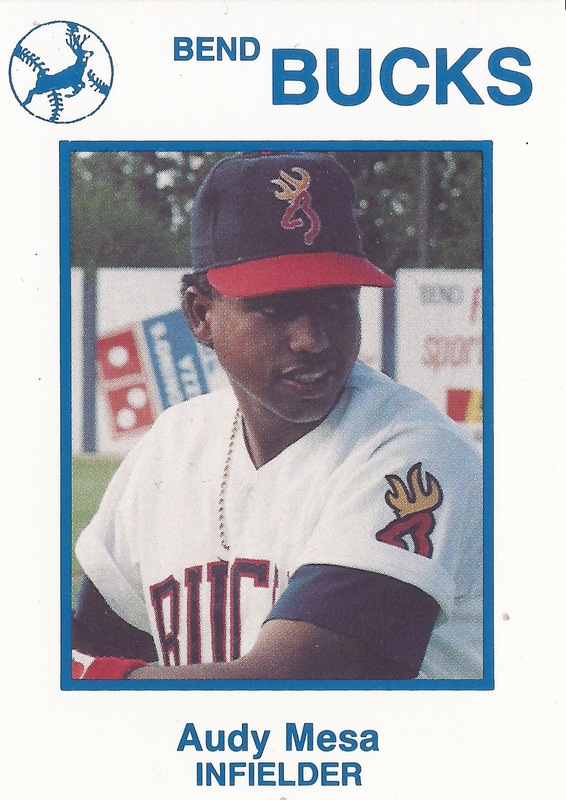 Mesa used his tools to play professionally in three seasons. He never made it out of short-season. He has since settled in Utah, where he continues to use his tools to teach others the game as an instructor and coach. Mesa's career began in 1989, signed by the Giants out of his native Dominican Republic. Mesa started with the Giants at rookie Pocatello. He hit .274 in 30 games. He also hit two home runs and knocked in eight. He moved to short-season Bend and Everett for 1990. He hit .258 in 35 games at Bend, with three home runs and 21 RBI. He hit his second home run on the year later in June, a three-run shot in a Bend win. At Everett, Mesa hit .243 over 28 games. He then returned to rookie Pocatello for 1991. He got into 39 games and hit .292 to end his career. In Utah, Mesa runs Dominican Baseball Training in West Haven, where he instructs and coaches. He's also served as a coach for Raptors Baseball. In 2017, Mesa and his wife led a baseball trip of teens back to the Dominican Republic to play games, but also do charity work. They collected equipment that April to take along with them and donate.